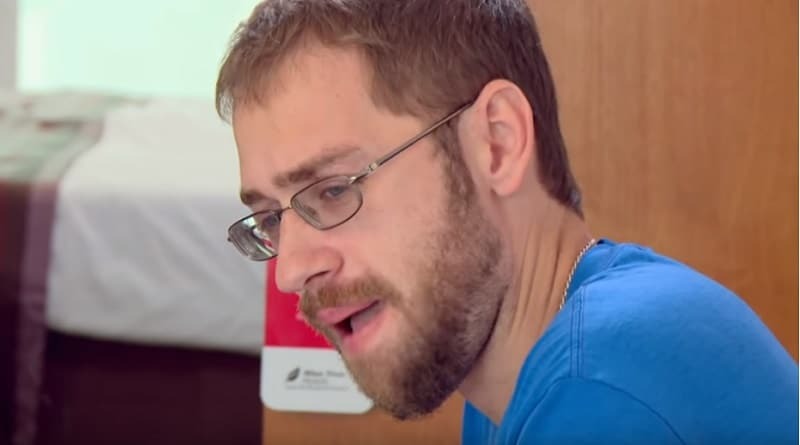 90 Day Fiance: Before the 90 Days star Paul Staehle recently emerged with some pillow talk online along with a few questions he’s pondering. It’s not the type of pillow talk you might expect. But we are talking about Paul, who seems to march to the beat of his own drummer. 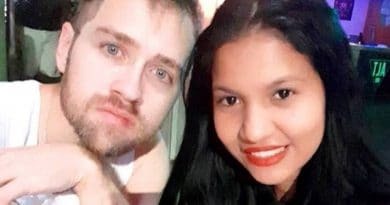 Out of all the 90 Day Fiance cast members, Paul Staehle and his wife Karine Martins, are two of the most memorable for sure. For that reason, an unknown enterprising person has found a way to create one of Paul’s most iconic poses on a pillow. Paul Staehle recently took to Instagram to show a picture of a pillow. This is no ordinary bed or throw-pillow as there’s no mistaking whose image it displays… his. 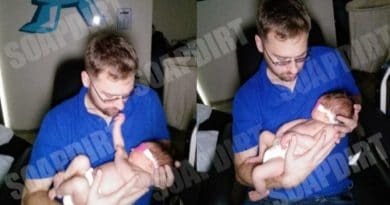 The 90 Day Fiance star writes that this pillow was recently brought to his attention. He continues to explain that he’s baffled by how he should take this. Paul said he’s not sure if he should “feel honored and flattered.” He also wasn’t sure if he should he be upset about not making money off of this image. There’s no doubt about it once you take a gander, this is his image on that pillow. It didn’t take long for fans to come to Paul’s rescue with all kinds of advice. One person suggested he look into these folks using his image without his consent. If it seems if they are making money from Paul’s likeness, he might be owed something. Or at least that’s what a few arm-chair unofficial legal experts offered up. Many of the folks who commented on the post liked this pillow. 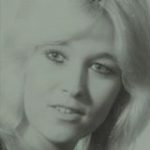 Others seemed amazed at the image’s likeness to Paul. Then there were those who either suggested he get one for himself or asked where they could buy one. According to ThoughtCo, using the image of a celebrity without their permission is a sticky area. 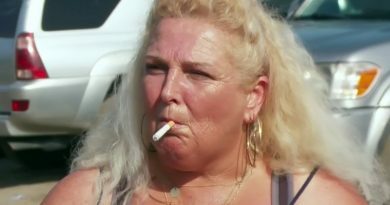 The image on the pillow came from a rendering taken from a scene in 90 Day Fiance: Before the 90 Days where Paul was talking about putting a ring on Karine’s finger, but it came across as a dirty gesture. Paul was unaware that the pillow existed. So it sounds like he had no prior knowledge of the intent to use his image. With that said, he might have a case if someone is making money form his image. While the article explaining the legal ramifications is not from an official legal source, it sounds as it is worth Paul checking into. 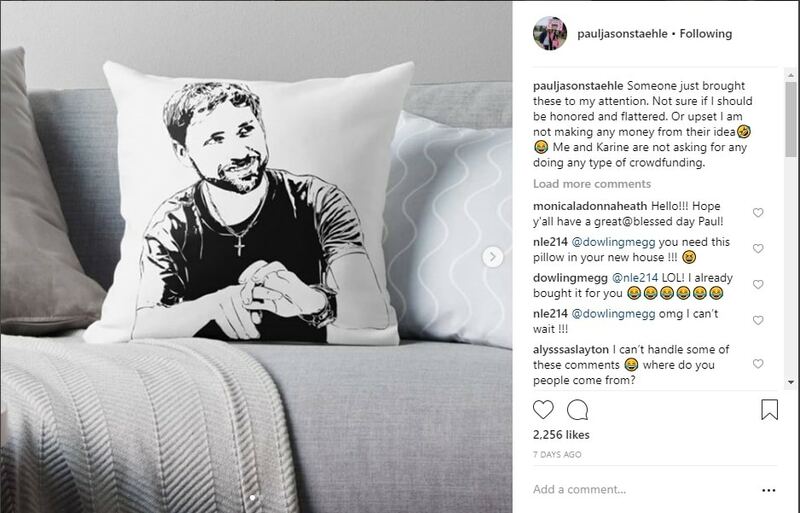 But… if this pillow is not a sale item and just a memento one of Paul’s fans created for their self, then he should feel “flattered” and “honored” as he said.